In Missouri, driving while intoxicated (under the influence of alcohol or drugs) is not only illegal, it’s a highly dangerous activity. According to the Centers for Disease Control and Prevention, “Every day, 29 people in the United States die in motor vehicle crashes that involve an alcohol-impaired driver. This is one death every 50 minutes. The annual cost of alcohol-related crashes totals more than $44 billion.” Due to the severity of the crime, DWIs are strictly enforced and severely punished. If you have found yourself in a situation, where you are facing criminal charges for a DWI in Missouri, you need to act fast. At Missouri Legal, we understand that mistakes happen and we are here to help you fight the charges against you. Below you’ll find more information regarding what a DWI is, as well as the charges and consequences you may face if you are convicted of a DWI in Missouri. Under the intoxication of drugs, alcohol or a combination of both. Having a Blood Alcohol Concentration (BAC) above the legal limit. Drivers over 21 and not operating commercial vehicles will be convicted of a DWI if their BAC is 0.08% or higher. Drivers under 21 years old will be convicted of a DWI if their BAC is found to be 0.02%. This is also referred to as a Zero Tolerance Law. Commercial vehicle drivers will be convicted of a DWI if their BAC is .04% or higher. Another important factor to consider is that Missouri has an Implied Consent law. What this means is that if you are pulled over under suspicion of a DWI and refuse to perform a Standard Field Sobriety Test or blow into a breathalyzer. You will automatically face a one year license revocation, followed by up to six months of an IID requirement. Once you have been arrested for a DWI, there are a myriad of penalties you may face. Penalties are categorized by first time offenders and your criminal history. Of course, when you hire a DWI attorney in Missouri to defend you against the charges you’re facing these penalties can be reduced or even disappear entirely. 90 day license suspension, with eligibility for Restricted Driver Privilege. Minimum jail time of 2-5 days. Maximum jail time of 6 months and up to a $500 fine. The Missouri Department of Revenue states that, second time offenders, regardless of time between convictions will face a 1-year revocation for accumulation of points and 5 year license denial for an alcohol- or drug-related offense within a five-year period. You will also face up to one year in jail and fines up to $2,000. Additionally, with both second and third DWI convictions your vehicle will be fitted with an Ignition Interlock Device (IID) for at least six months. Third time convicted DWI offender will face up to 4 years in jail, with fines up to $10,000 and a 10 year license revocation. 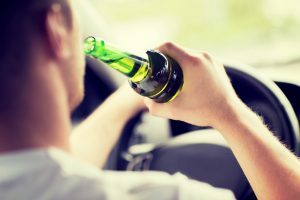 Depending on the specific factors of your case, with the help of your DWI defense attorney, the court will sometimes suspend the jail sentence in exchange for probationary conditions such as, substance abuse treatment, a few mandatory days in jail, along with alcohol monitoring and random drug and alcohol testing. Failure to meet these requirements could result in the previously mentioned penalties. If you find yourself or a loved one facing DWI charges in Missouri, you need to contact a professional criminal defense attorney as soon as possible. A DWI charge can follow you around for the rest of your life, leaving continual negative repercussions in its wake. A DWI conviction will make it harder for you to get employment, own a home, or even start your own business. Don’t let one mistake ruin the rest of your life, contact us today to arrange a free, no obligation consultation with one of our Missouri DWI attorneys.